Less than 30 minutes' drive north of Périgueux, near the charming town of Thiviers, this is a very peaceful place set in a village within easy reach of many activities and interesting sites. 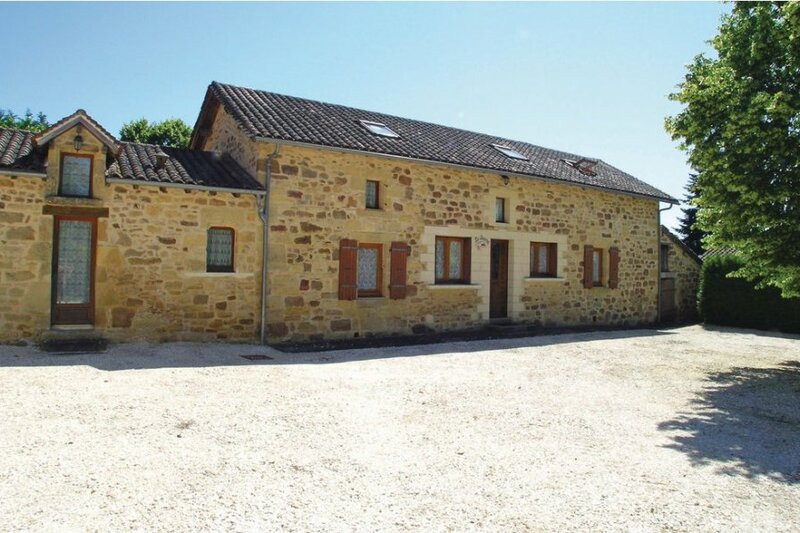 Less than 30 minutes' drive north of Périgueux, near the charming town of Thiviers, this is a very peaceful place set in a village within easy reach of many activities and interesting sites. The charming French owners live next door and give advice of visits to be done all around. The stone houses have been restored keeping all genuine parts, with even the wooden rack for the cow "Barrou"! Both properties can be rented together for large parties, sharing a very large enclosed swimming pool surrounded overlooking the quiet countryside. Canoeing and a golf course are a short drive, but also many châteaux such as the amazing one of Hautefort. Brantôme is nearby as well as the old town of Périgueux, very lively at night time with many free concerts and music festivals. This villa is made from brick or stone. The agent has rated it as a three star property so it is a well-kept villa, equipped with standard furniture. It is also good value for money. This villa has use of a shared pool and is located in Nanthiat, only 9km from Thiviers. It is set in a good location: there is a restaurant 9km away.